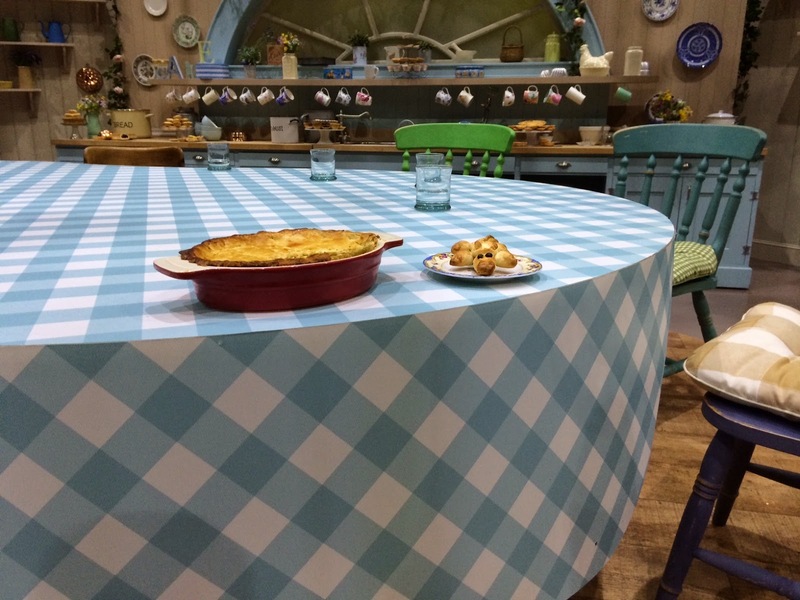 In our first ever TV appearance, Michel Roux Jr rated the Pierateer's Crocodile Pie on NATIONAL TELEVISION!!! 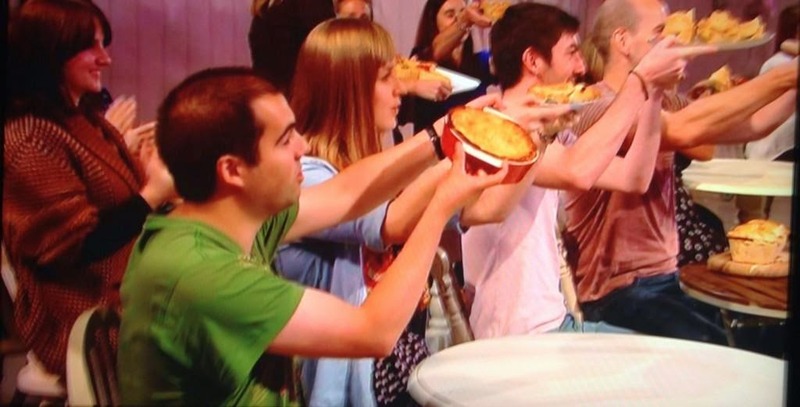 In what is one of, if not the most, surreal moments in Pierate history, Pierateer Rob and The Ship’s Cook Emily were complimented for the quality of their pie pastry during an appearance on BBC Two’s Great British Bake Off: An Extra Slice. Having sampled the Crocodile Pie that Pierateer Rob made, Michel Roux Jr (the acclaimed Michelin Star Chef at Le Gavroche and judge on Masterchef: The Professionals) complemented the quality of the pastry – even if the filling let us down when he found the crocodile meat a little dry. Don't think we'd have got 7/7 on our 7 Cs of pie rating! Thanks for favouriting our tweets Michel Roux Jr and Shappi! But considering we just make and rate pies for "The love of pie", this was a massive coup for Pierateer Rob, who was in fact making his first ever pie pastry completely by hand, rather than using shop bought (it must be remembered that we are primarily Pierateers – raters of other people’s pies – rather than pie makers!) 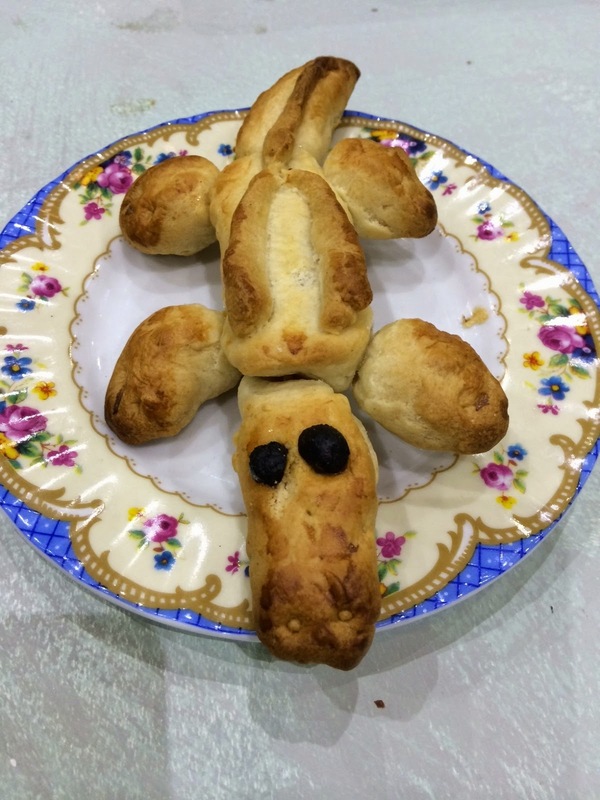 and you can read about how the Crocodile Pie was made in our reci-pie article. 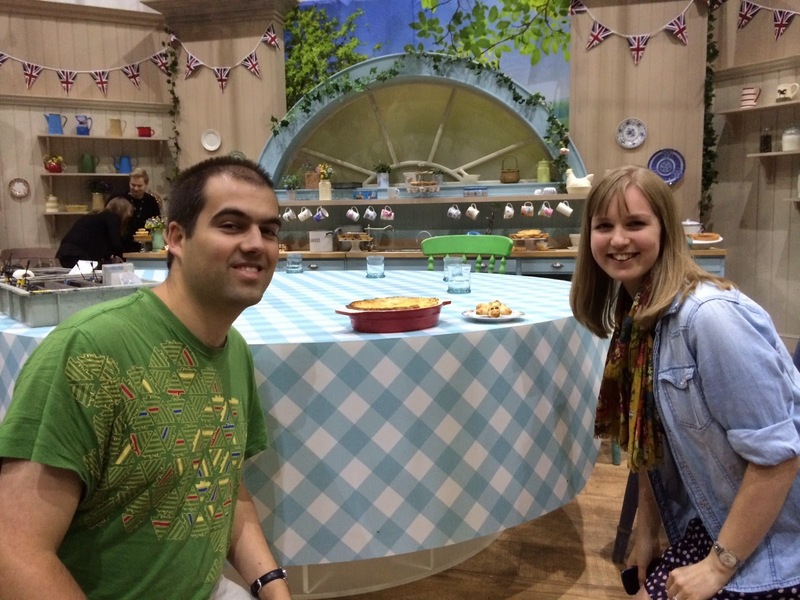 The hit BBC Two show “An Extra Slice” is a spin-off of the hugely popular baking series “Great British Bake Off”, which had just been celebrating their own Pies and Tarts week. 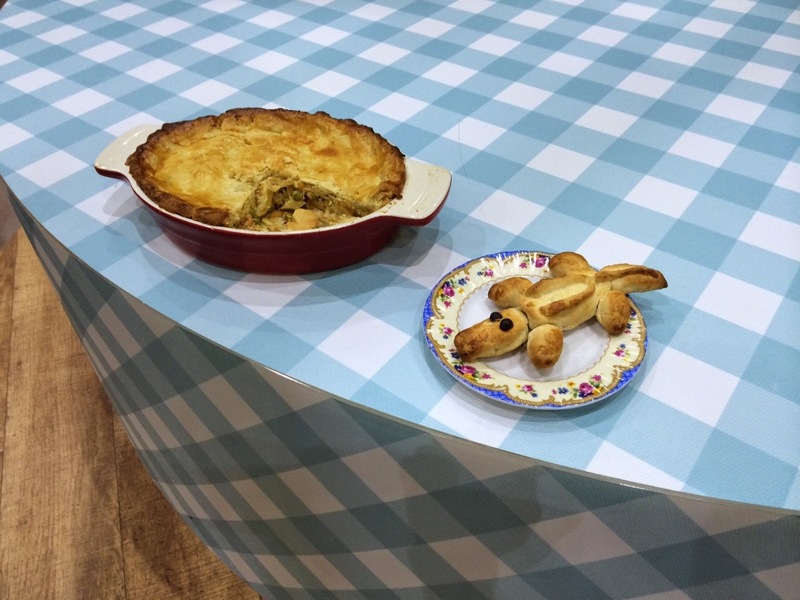 In the episode, host Jo Brand showed a range of clips from the tent, interwoven with photos from members of the public who had sent in their baked efforts and a taste of a few pies and tarts brought into the studio. Needless to say though, despite the mixed reaction of the panel to eating Crocodile Pie, this was one of – if not the most – exciting days out in Pierate’s near 5 year history! Of course, the bread and butter of what we do on Pierate is rating pies up and down the country and across the world – so that you know what the best pies are near you. With over 425 pies rated in our Pie Rankings we hope there’s a pie there for everybody. But it sure is nice to get a com-pie-lement from a world renowned celebrity chef of the calibre of Michel Roux Jr every now and then! And who knows - perhaps after sampling our pie Michel will invite us round to his place for a pastry sampling at Le Gavroche sometime?! If watching us on the Great British Bake Off: An Extra Slice has ins-pie-red you to want to get in touch with the Pierateers, please visit our Contact Us page.